In Vancouver USA, there is a market for almost every neighborhood to stroll through for fresh, local produce and handmade trinkets. In addition to the nationally recognized Vancouver Farmers Market, which continues to amaze visitors on weekends, neighborhood markets attract mid-week shoppers and nearby dwellers. Mondays: Figure out your market schedule for the week! Tuesdays: The Salmon Creek Farmers Market, located in North Vancouver, is a community-based market held outside Legacy Salmon Creek Hospital from 11 a.m. to 3 p.m. This market runs through the middle of September. Wednesdays: The Franklin Street version of the Vancouver Farmers Market brings a smaller-scale setup to downtown’s mid-week travelers and business folks from 10 a.m. to 2 p.m. Located next to the courthouse, you can find it until the end of September. 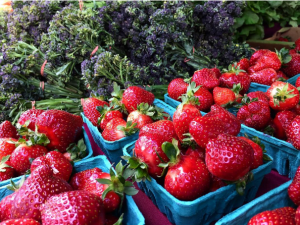 Head east to the Camas Farmers Market for a full-scale event with activities and live music from 3 to 7 p.m. Special festivities, like Berry Days and the Whole Foods Veggie Derby, are scattered throughout the summer until the first week of October. 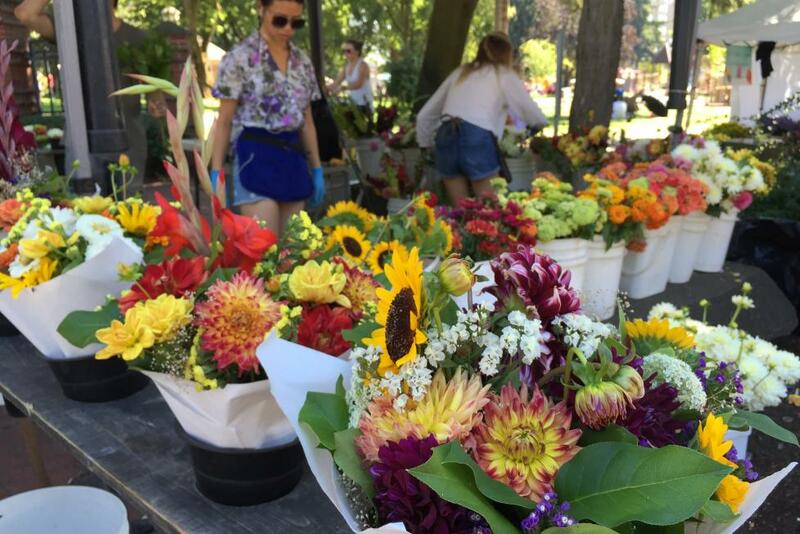 Thursdays: From 10 a.m. to 2 p.m., the East Vancouver Farmers Market hosts vendors until the middle of September. Pick up ingredients for your weekend recipes and meander through with your pup. Northeast of downtown Vancouver, Battle Ground Village hosts a market with the mission to connect farm vendors with local communities. Find them from 3 p.m. to 7 p.m. until mid-September. Fridays: Time to bake a pie with your fresh berries or grill up those veggies! Saturdays: Get a taste of rural living from 9 a.m. to 2 p.m. at the Ridgefield Farmers Market, located north of Vancouver in Ridgefield’s ‘Old Town’ until the first week of October. The epitome of small town, Northwest living, you’ll find longtime artisans from local farms and dairies. Saturdays/Sundays: Score a bounty of fresh food and entertainment at the largest outdoor market in Southwest Washington. More than 100 vendors showcase artisan crafts, hand-stitched fashion items, and organic produce at the Vancouver Farmers market from 9 a.m. to 3 p.m. on Saturdays and 10 a.m. to 3 p.m. on Sundays. The longest running, this market operates from mid-March to the end of October.